There are few cars of the sixties which are as much fun as a Healey 3000. Well known for their competition history and wins in long distance rallies, the road cars achieved great sales success particularly in North America. This is one of the few home market right hand drive cars , and comes with extensive history almost from new. It has the twin carburettor six cylinder engine producing 132 bhp, which gives exhilarating performance, fully capable of keeping pace with modern traffic. This is the first Healey model to have wind up windows and the easy to operate convertible hood. Finished in its original British Racing Green livery, this car underwent extensive restoration over 30 years ago and has been hardly used since. Recently fitted with new tyres, chrome wire wheels , an original quality hood and hood cover, this Healey will turn heads where ever it goes. 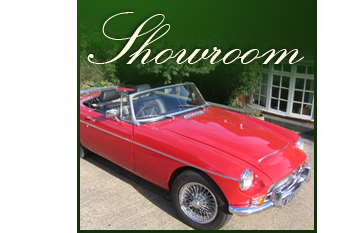 Genuine cars with traceable history, such as this are increasingly difficult to find, so please do not delay.